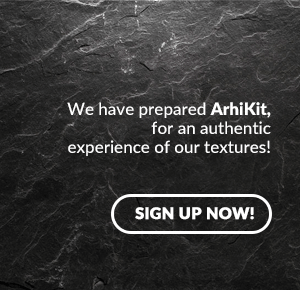 Thus, different types of materials are combined, creating new dynamics. A practical example with regard to this consist of the extensions of some Victorian houses in East London. 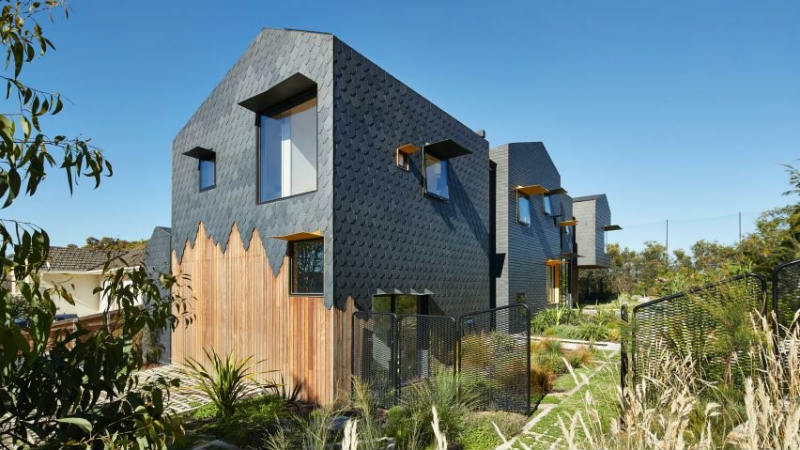 Being a city with a constantly rising population and very large inter-urban mobility (a large part of residents change their address regularly, since they’re tenants), small Victorian homes must be adapted to these new living conditions. 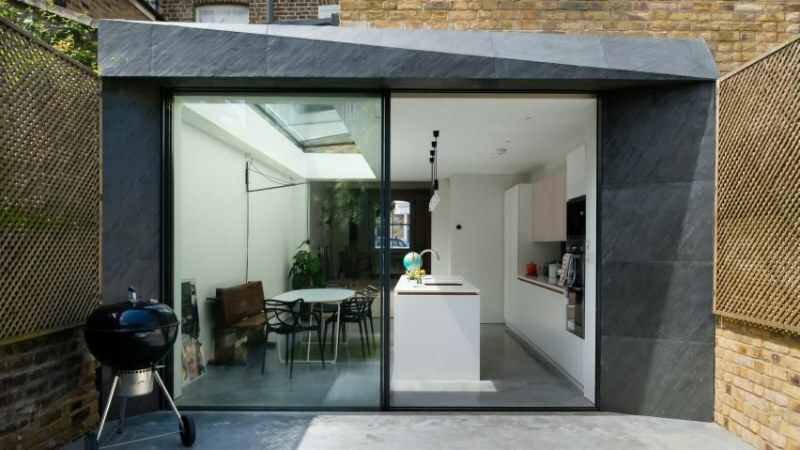 Architecture for London office imagined these slate extensions of brick houses. 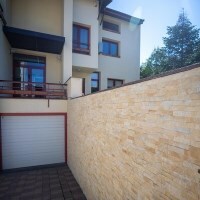 How do slate and brick get along and what are the reasons for combining them? 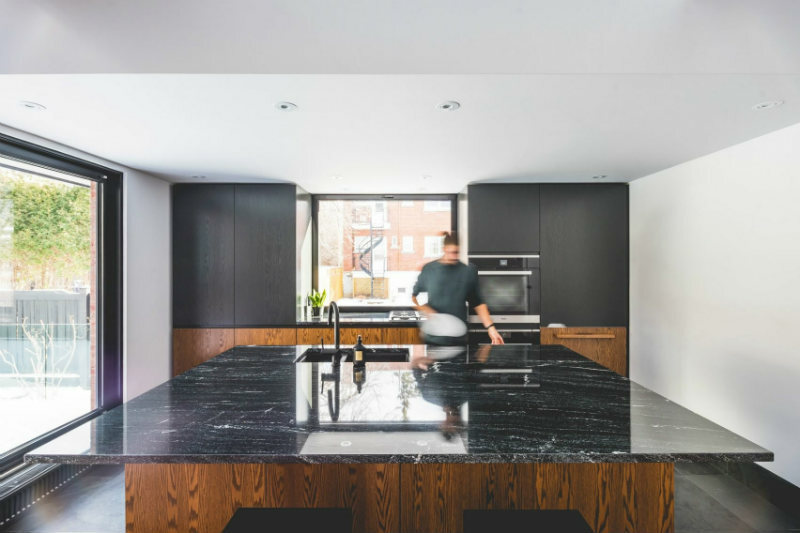 Besides altering the dimensions of space, a simple extension or combination will also transform the entire living experience. 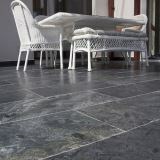 Black slate is a black / dark gray stratified stone with a hard, yet smooth finish. Used as roofing material is very suitable because it has a very low water absorption index, which makes it waterproof. 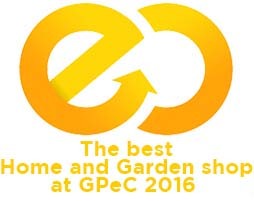 Brick is a traditional, hard, porous, weatherproof, durable material. 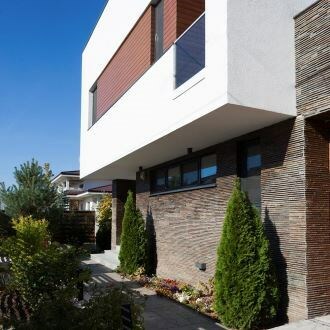 There is no recipe for compatible materials, everything depends on the location, clients wishes and architects vision. 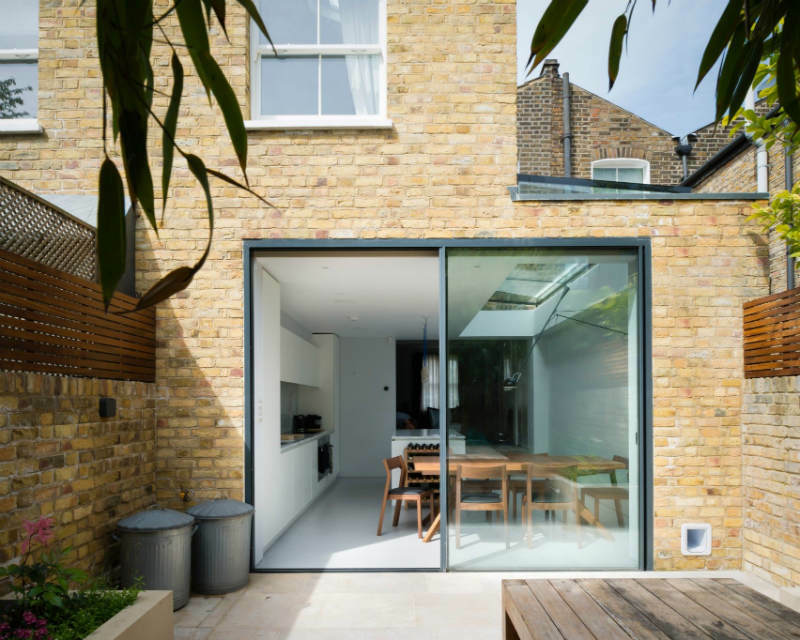 In the earlier example, the extension is continued abruptly, yet does not interrupt a visual unity because it is positioned in the back yard, not visible from the street. In addition, by making a house extension and replicating the same material and procedures from 100 or 200 years ago, we can easily fall into kitsch or parody. The contrast of hardness and material component recalls an organic transition of time, in which change is the only constant. 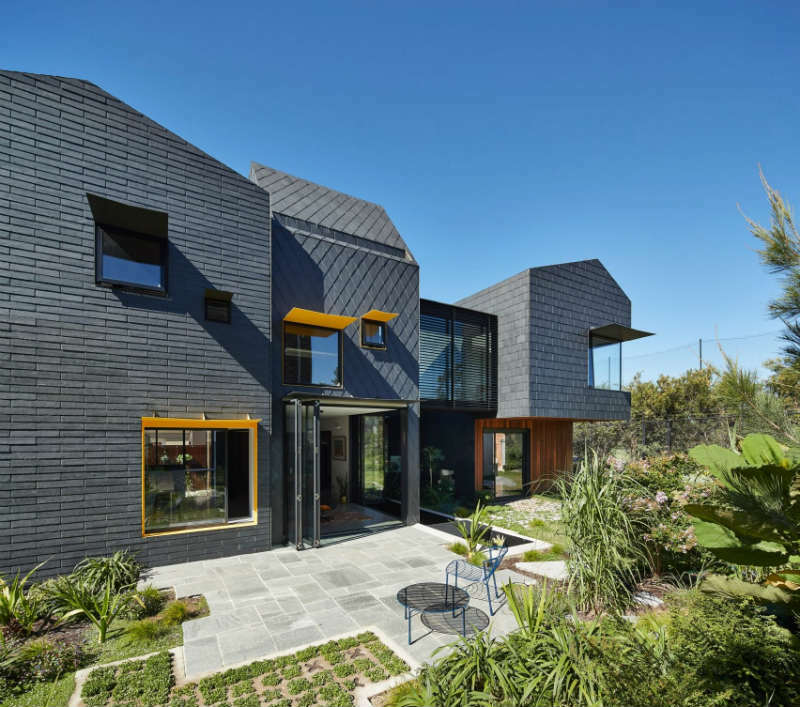 Their combination reveals an evolution, the home is a living organism. Another example of extension using slate and brick is this Tudor style house in Montreal, made by local company McComber. 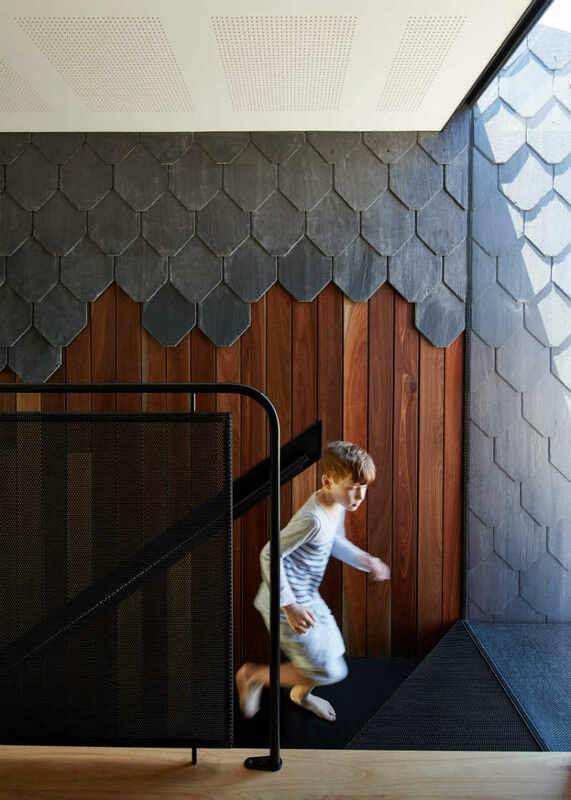 Slate can also be integrated with tiles, way of a more playful aesthetic art, as in this Melbourne home, imagined by the Austin Maynard architecture office. The merger continues inside the house, which creates a unity especially in transient spaces or in places like open and closed greenhouses or terraces. Brick and slate are just two of the many combinations of materials we can make when deciding to expand or simply renovate a house. It is best to investigate enough to find the perfect balance and complement in the universe of different types of stones.